INFERNÄL MÄJESTY released "No God" earlier this year, what a brilliant album!!! 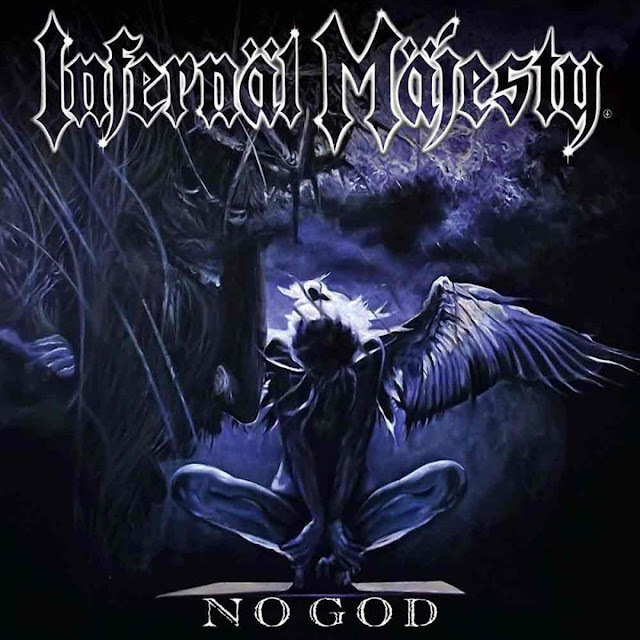 Forever hooked to the classic "None Shall Defy" I was anxiously expecting this LP and it didn´t dissapoint me, au contraire, the fierce old school thrash metal riffing make this album so intense and ease to praise. The band have just launched an 8:18 minutes video for the title track, nad like the previous video clip ("House Of God") shows a dark aesthetic with powerful and explicit images that perfectly fit with the music.